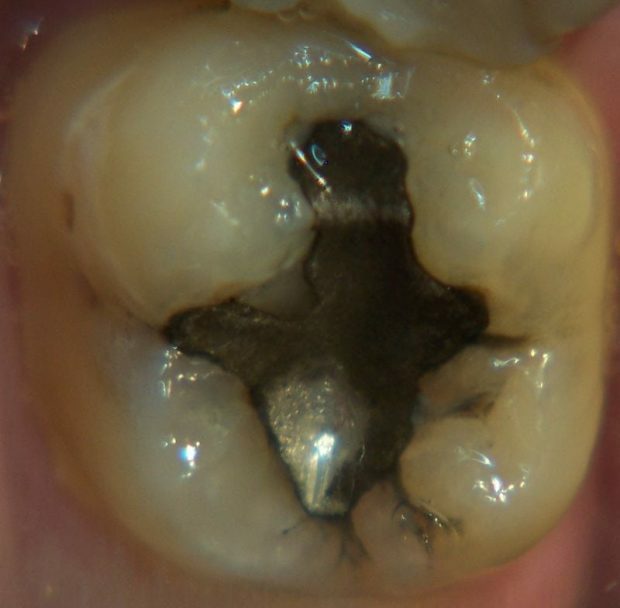 In this article of Amalgam Failure, we discuss another type of failure which is Severe or excessive discolouration. We will explain the major causes, clinical picture and treatment. Formation of a surface film of discolouring oxides and sulphides leading to loss of amalgam luster. This is enhanced by: Excess Hg, under trituration, improper condensation, Lack of finishing, moisture contamination, and bad oral hygiene. Its the actual disintegration of the bulk of amalgam. Chemical corrosion: due to Lack of polishing and food stagnation which may lead to halogenation and sulfurization. Old and new similar metallic restoration. Polished and unpolished areas of the same restoration. The same restoration but heterogeneous in structure. It is a type of electric corrosion resulting from accumulation of certain types of food on a site of restoration making it different in its electric potential from other sites of amalgam. 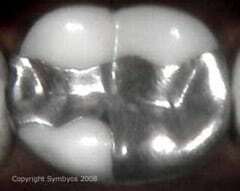 It is increased with rough surfaced amalgam and bad oral hygiene. 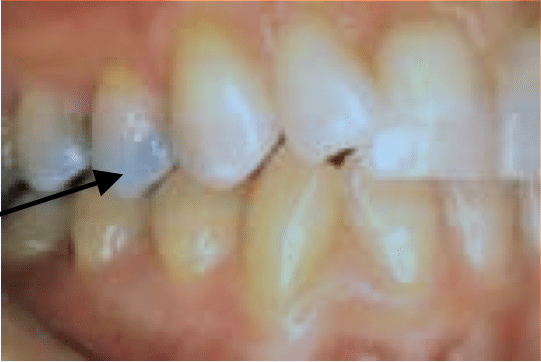 Thin or undermined enamel that shows dark blue discoloration of amalgam. Penetration of metallic ions and corrosive products of amalgam through the dentinal tubules. Tarnish: Loss of surface luster. Corrosion: Rough pitted amalgam surface. Amalgam blues: Dark bluish discolouration. Corrosion: may require removal of old restoration followed by bleaching and correct replacement. Amalgam blues: are prevented with application of cavity varnish to seal dentinal tubules from penetration of metallic ions.